Considering changing N82 fascia/housing? 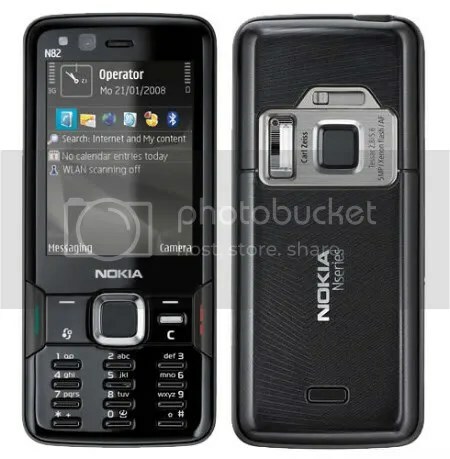 Your own Black N82. 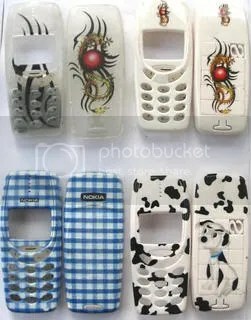 Changing housing used to be something top Nokia models did in their prime (3310, 7210, 7610) with ease. They were intended to be easily user replaceable with the pay off that you tend to lose some build quality due to the removable parts. Nseries focused slightly more towards build quality thus dropped the exchangeble fascia scheme. 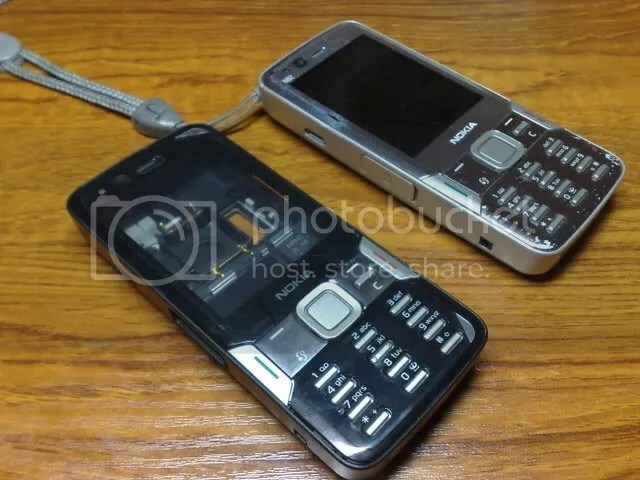 Since they didn’t focus on build quality too much, inevitabley your phone gets scuffed, scratched or worse but unlike the 3310 and the like, you can’t just whip on a fresh new cover. 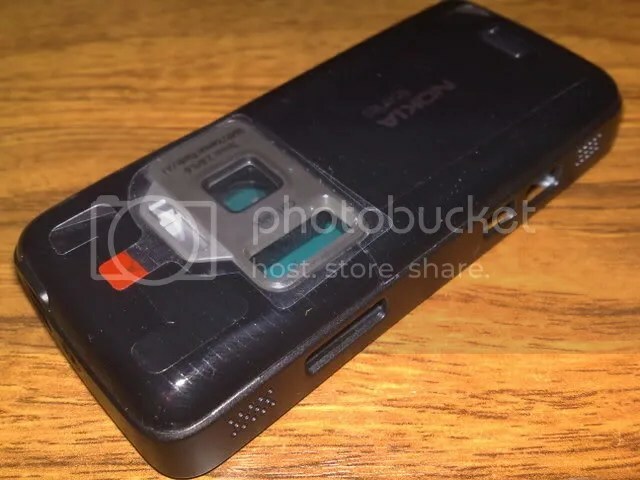 With the N95 however, it was surprisingly easy, albeit with a tool for the front cover, as the back came off with ease as if it was intended for it. On eBay, you can find a selection of colours from the original available to non standard, such as blue and gold. 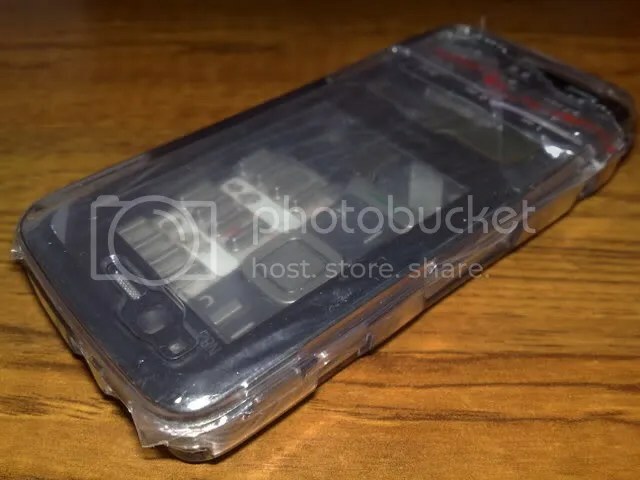 You can also find N82 covers on eBay which could lead you (it did me) to think that it’s similar to the N95 in what is essentially a simple shell of a cover. 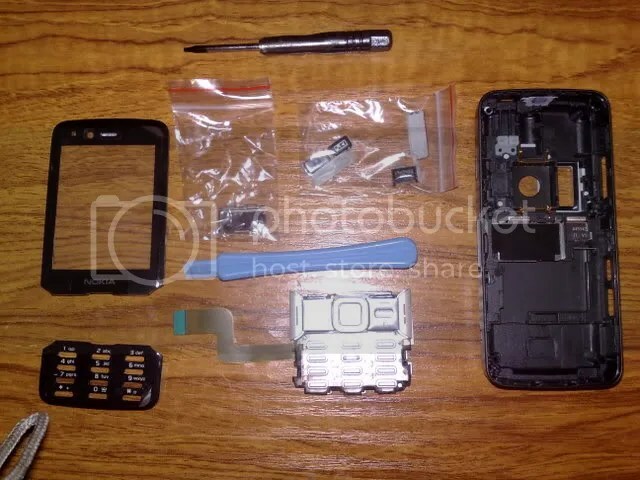 To replace the N82 cover yourself, you must prepare yourself for some major surgery. Disassembling is not recommended unless you have done it before as it is very complicated and can easily lead to an N82 looking paper weight. 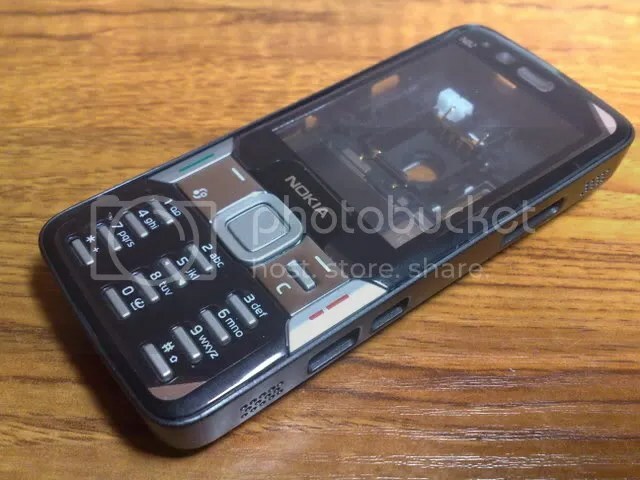 A couple of weeks ago I purchased a black N82 housing set just to see if they’re up to scratch (non OEM from eBay). It arrived this morning. Unless I become significantly bored (and brave), I’m not going to replace the cover myself. But here’s some thoughts and pictures of it. Whilst not as sleek as the completely black N82, it’s a pretty good imitation, not bad for under £10 with P&P. 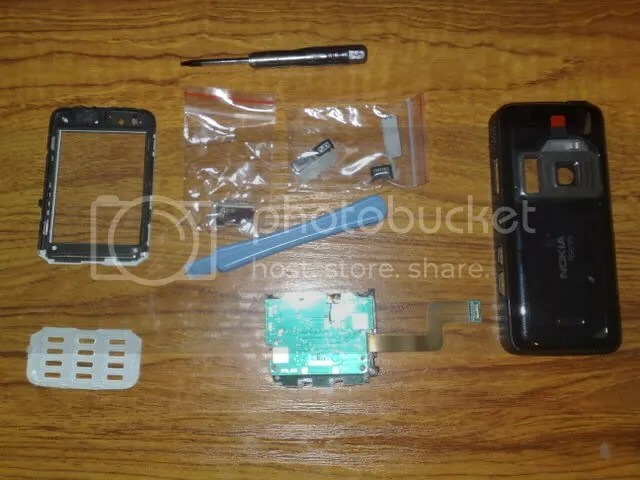 The tools required are provided, with additional extras of the crystal case and an LCD “filter”. Micro SD card door is black as well as the opposing side keys, with just the silver shutter button. The cover itself feels robust. The finish looking surprisingly good, matte at the sides, glossy at the front, with slightly darker brushed metal effect on the camera. The only error I can detect at the moment (apart from the obviously mismatching front keypad) is the printing of the numbers/letters as they have shifted of a couple of milimetres. 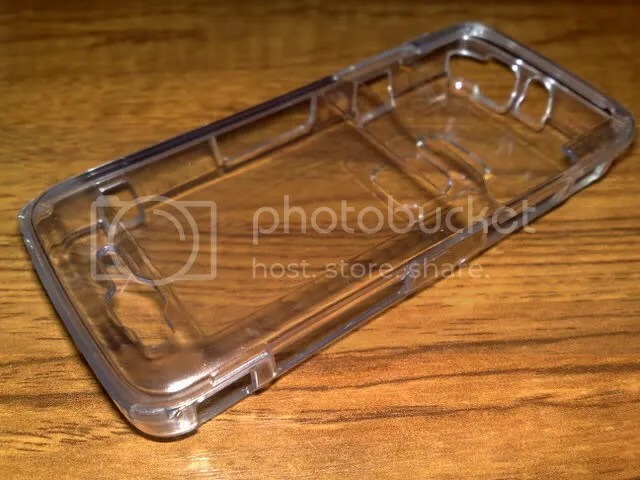 The spring assisted lens cover also feels very similar but as with the whole package, only time will tell if it is fit enough for every day and prolonged use. Please note that changing the cover yourself will void your warranty. 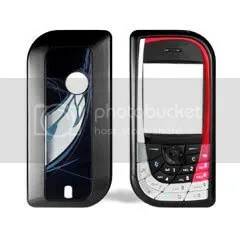 Should you be so eager or even require a change in cover, consult a Nokia repair centre who would also provide OEM covers (at a price). 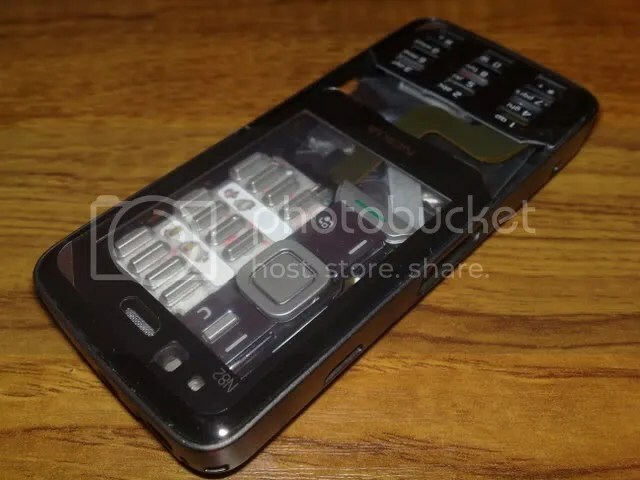 If anyone has changed the housing of their N82, I’d love to see how you got on. P.S. 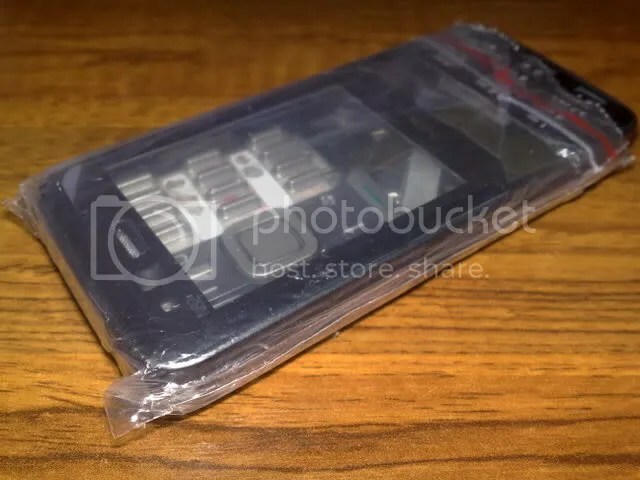 If like mine, the front is scratched, this can be relatively easily removed and exchanged without touching the internals of the phones. Again, unless you’ve done this kind of thing before, DO NOT ATTEMPT CHANGING THE WHOLE COVER. 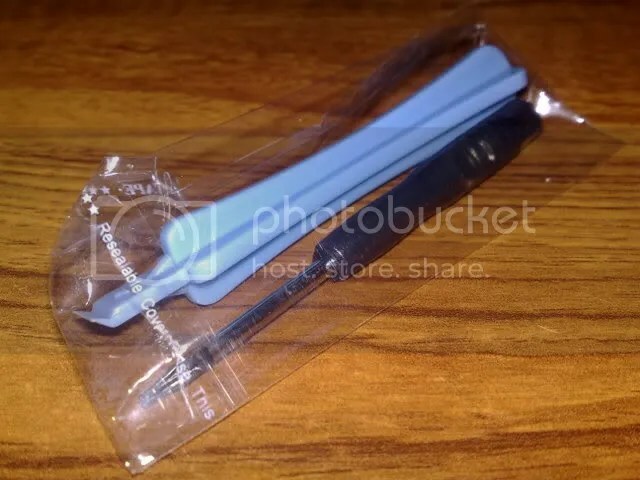 Also, the weakest thing in this package is the fake SS-93 tool. 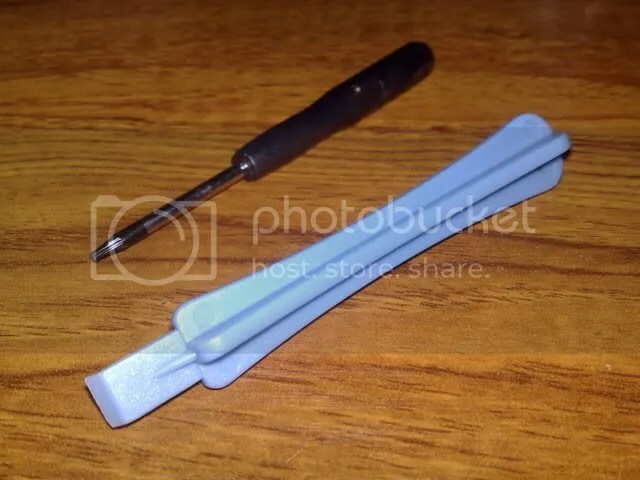 As I’ve just found out, the tip breaks easily. 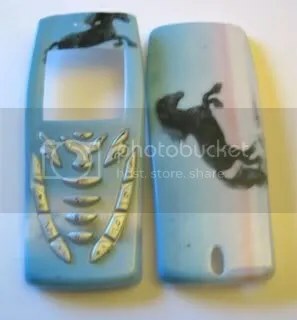 Do not use this as you will break your N82.